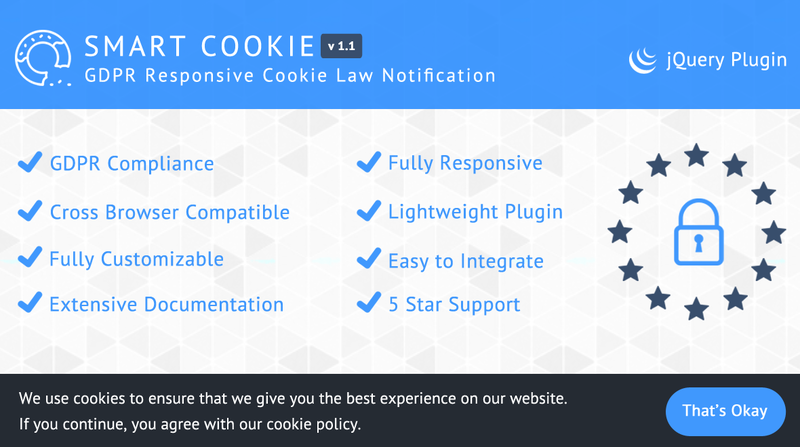 Smart Cookie is GDPR responsive cookie law notification jQuery plugin, which helps you to inform your visitors about the cookie use on your website. This helps you comply with the EU cookie law requirements. The jQuery plugin is very flexible you can choose from four positions to place the notification message: top, bottom, bottom left, bottom right. If you choose top or bottom position it will be displayed as bar, otherwise it will be displayed as a box in the bottom left or bottom right corner. 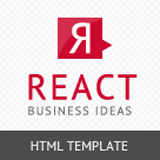 You can also customize the texts and colors to fit your design.